SoftBank Group Corp. is one of the biggest telecommunication companies in Japan. “WhiteCloud: OneLayer on Cradlepoint NetCloud” is a cloud service with an overlaying network operated by SoftBank Group. The network setting can be easily integrated and managed by the administrator portal, and it provides the network environment in a short amount of time by issuing it on a software basis. Classmethod developed a CloudFormation template, so that Softbank can provide “One Layer on Cradlepoint NetCloud” cloud connect option. 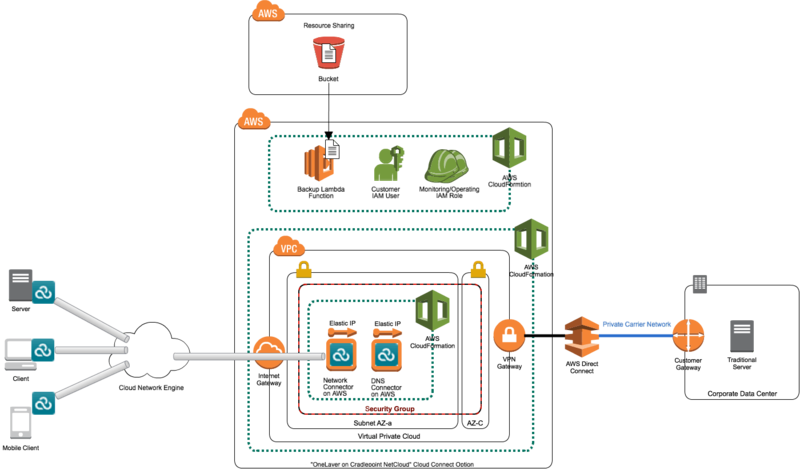 “OneLayer on Cradlepoint NetCloud” provisions an AWS environment for every tenant. By automating the provisioning of AWS environment, OS and middleware settings with those CloudFormation templates, the Classmethod team can organize platforms that can be easily built. Additionally, customers can select platforms from flexible options based on their specific needs. Utilizing CloudFormation’s functions makes it possible for customers to apply different settings according to the options.